Joseph Cropsey—American political philosopher; distinguished service professor emeritus in the Department of Political Science at the University of Chicago; dedicated teacher; and coeditor of the “Strauss–Cropsey Reader” (History of Political Philosophy), a staple in universities for fifty years—died last week at the age of 92. Cropsey completed his PhD in economics at Columbia University in 1952, with a dissertation on the work of Adam Smith, one of his lifelong scholarly interests (in addition to interstitial aspects in the works of Plato and Karl Marx, the figure of Socrates and issues of philosophical sobriety, and the limitations and entrapments of modern liberalism). 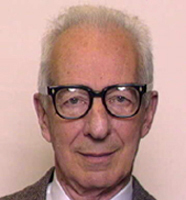 By 1957, Cropsey was at the University of Chicago (after stints at the CCNY and the New School) as a Rockefeller Foundation Fellow, following Leo Strauss, who would become his most significant collaborator, and assist in his intellectual turn from economics to political philosphy. Strauss encouraged Cropsey to examine texts deeply. “When Strauss was at the head of his class, sitting up there, he would at a certain point say, ‘What does this mean?’ When I have to deal with a text of Plato, I have constantly to be asking myself, ‘What does that truly mean?’ Until one comes to grips with the question, one has not done one’s duty to the object or to oneself,” he told Dialogo. Cropsey continued teaching at Chicago until 2004, garnering the Quantrell Award for Excellence in Undergraduate Teaching, serving on 134 PhD dissertation committees, and directing the John M. Olin Center for Inquiry into the Theory and Practice of Democracy. 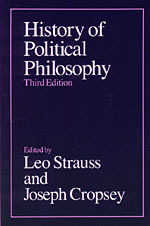 In addition to the History of Political Philosophy, Cropsey authored and edited numerous volumes. 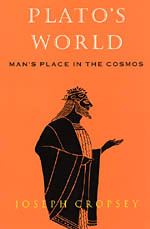 Among those are Thomas Hobbes’s A Dialogue between a Philosopher and a Student of the Common Laws of England, an invaluable later writing by Hobbes, and Plato’s World: Man’s Place in the Cosmos, which culminated Cropsey’s lifelong work on the philosopher.